A beautiful and moving anthology exploring the complex dynamics of contemporary family life. Forty international photographers present pictures, albums and archives, many never previously published in book form. They explore relationships between brothers and sisters, parents and children, step-families and in-laws, outcasts and adoptees. Featured projects include Birte Kaufman’s award-winning images of Irish travellers, Magnum member Trent Parke’s darkly amusing shots of his family in suburban Australia, Nadia Sablin’s elegy to her elderly aunts living in rural Russia, and Elina Brotherus’s devastating records of failed IVF. Two critically engaging essays address how photographs have become an essential tool for families to lay down memories, reinforce identities and understand emotional attachments. 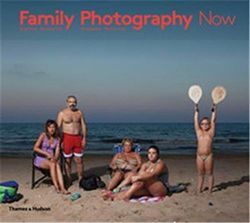 A bold and brave book that will captivate everyone curious about other people's lives, and all those who turn to photography to celebrate or make sense of their own family.